OUR PRICE: $161.50 - Join Rewards Get $16 Dance Dollars On This Item! 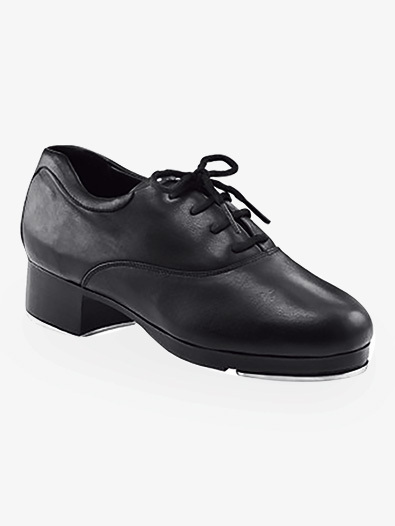 Perfect for all levels of tap - this classic tap shoes feature a lace-up design, Tele Tone toe and heel taps, a Spring Tec insole and sock lining for increased comfort, a foam padded tongue and collar, and a strong toe box. Suggested Fitting: Women order same as street. Men order 2 sizes bigger than street size. I tap 5 hours a week and I always would buy good shoes but would always snap them in half when I found these I was instantly in love it has a slight arch support the heel is wonderful and the taps make AMAZING sounds. They do run approx. one size smaller than attest shoe I’m usually a 7.5 and I like my 6.5 because they are leather so they will stretch after a while and be tight for the first few classes. They make every tap step easier for me and lest strain on my feet I will never try another tap shoe on ever again!